Is your fuel tank running low or near empty? Super Towing Ottawa offers 24/7 roadside assistance, including emergency out of gas refueling services. We’re renowned for having the most professional roadside support throughout Ottawa. Whenever you’re caught up in an emergency roadside jam, you can rely on Super Towing to be there for you. Expect a lightning fast arrival time. We will be there by your side within 30 minutes of your call to us. Absolute customer satisfaction is absolutely guaranteed. You might not even be aware of the fact that your fuel tank is running low until you see the yellow blinking lights on the dashboard. These yellow lights indicate the fact that your fuel tank needs to be replenished right away. Super Towing’s team of professional roadside specialists will arrive at your location to refuel your tank. 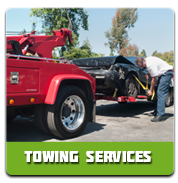 Super Towing offers a wide selection of roadside assistance services that includes; out of gas refueling, emergency towing, accident removal services, private property towing, flat tire change, dead battery replacement, emergency jump start services and 24/7 auto locksmith. Although you can’t predict when an emergency roadside situation might occur, you can certainly be prepared for it once it does! 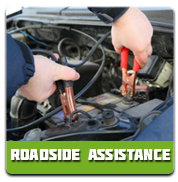 Our experienced team of roadside specialists will personally refuel your tank and have you on your way in no time! It’s always a wise idea to fill your tank according to the distance you plan on traveling. There are always variables to take into consideration while driving, such as traffic jams. Make sure you check your tires to avoid any potential flats along the way. Taking the proper roadside preventative maintenance initiatives ensures that you get the most out of your mileage. We’re always here to assist with any roadside emergency 24/7. 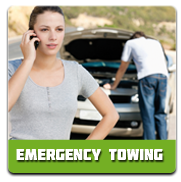 Super Towing Ottawa is the most trustworthy towing and roadside assistance company around. We have a great team of skilled technicians that have been in the business for many years. We believe you’ll appreciate the elite level of customer care you receive. We boast the friendliest customer care staff in Ottawa. We offer affordable rates and provide you with top notch out of gas solutions.